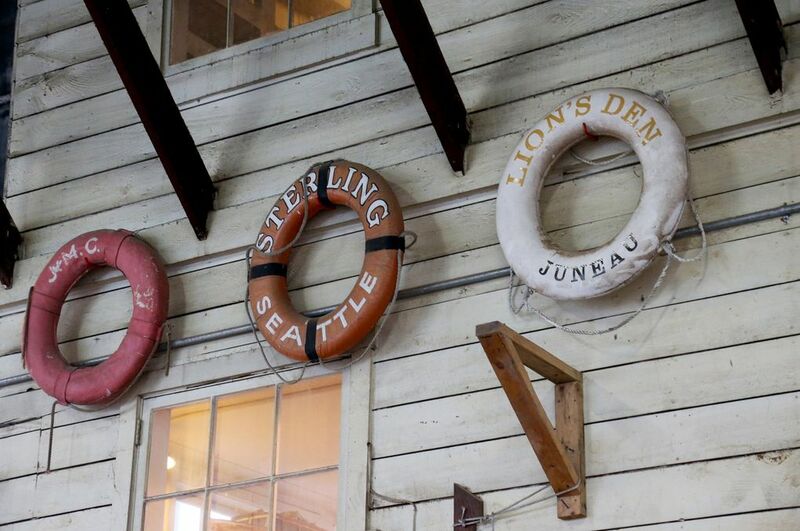 Rising tide of Seattle growth swamps century-old Jensen Motor Boat Co.
One of the few wooden-boat shops in the region — and a pioneer in designing competition hydroplanes — is set to be sold next month. If old Seattle has a soul, it has likely spent many hours and not a few dollars at the Jensen Motor Boat Co.
Snugged up between the north shore of Portage Bay and the southern edge of the University of Washington campus, the sprawling compound of shops and lumber stacks and esoteric machinery on aptly named Boat Street has turned out some of the most iconic and gorgeous specimens of Seattle boating history. 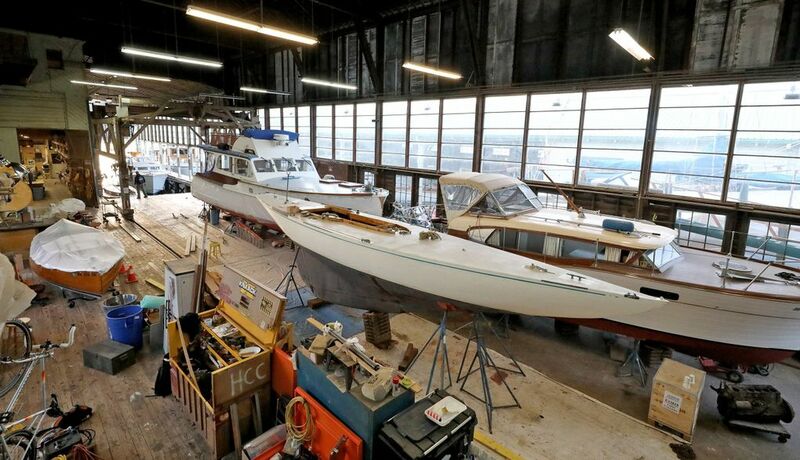 Since 1922, the shipwrights at this family-run company have hand-built grand yachts and dinghies, Navy patrol boats and rumrunning speedsters. Starting in 1950, they introduced a revolutionary line of hydroplanes that broke all speed records and put Seattle on the map in a way its professional sports teams never would. The sailing here on Boat Street hasn’t always been smooth. Jensen has weathered a Depression and a world war, bitter professional rivalries, and even an attempted land grab by the university. But in the end, what sank this symbol of old Seattle was the same economic wave that has carried off so much of the rest of the original city. 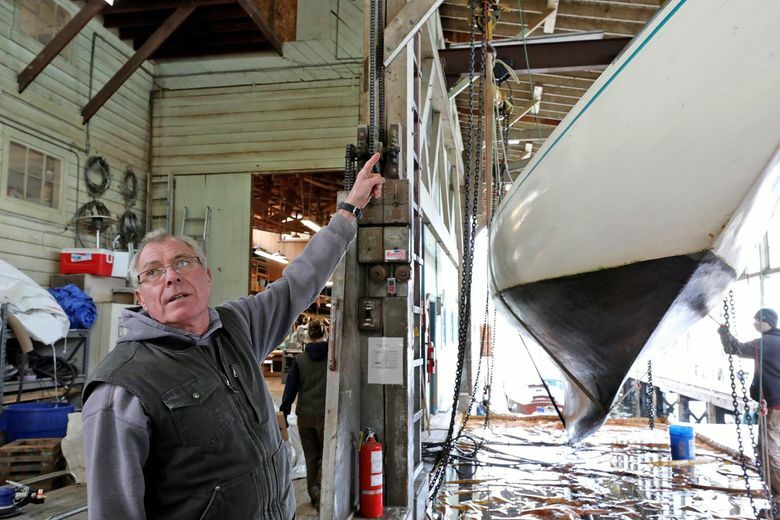 Last month, DeWitt Jensen, 66-year-old grandson of founder Tony Jensen and the company’s current owner and president, gathered the 20 or so shipwrights, painters, mechanics and other employees in the company’s wood shop and delivered some unhappy news: The company is being sold, and will likely launch its last boat in August. Neither DeWitt Jensen nor the prospective buyer, a party associated with Seattle developer Stephen C. Grey & Associates, would discuss details of the sale, which is slated to close Dec. 10 at a price said to be close to $6 million. 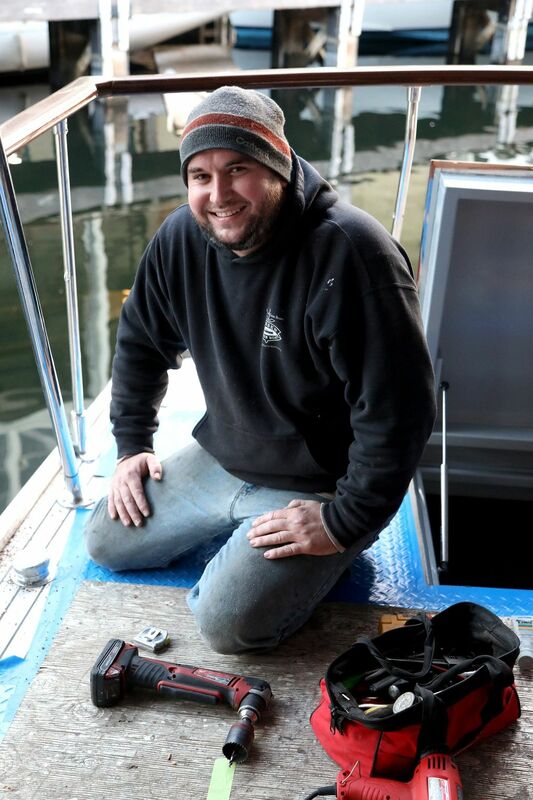 “We’re all just waiting to find out,” says James Mihovilich, a mechanic who came to Jensen as a shop-cleanup kid 15 years ago and was one of several employees taking a lunch break in front of the boatyard on a recent, unusually balmy afternoon. 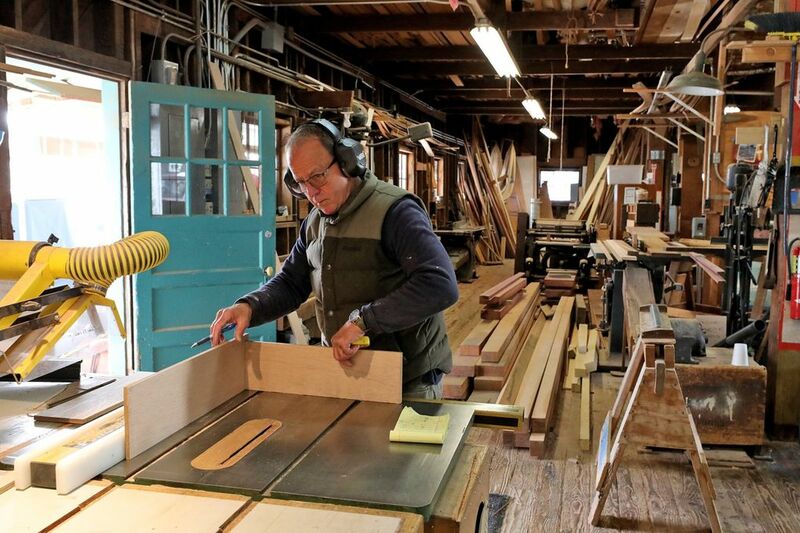 Whatever the new use, the sale will almost certainly mean the end of what one longtime customer calls a “wooden boat cathedral” — a complex of workshops, machinery and gorgeous wooden boats of various scales, vintages and states of reassembly. 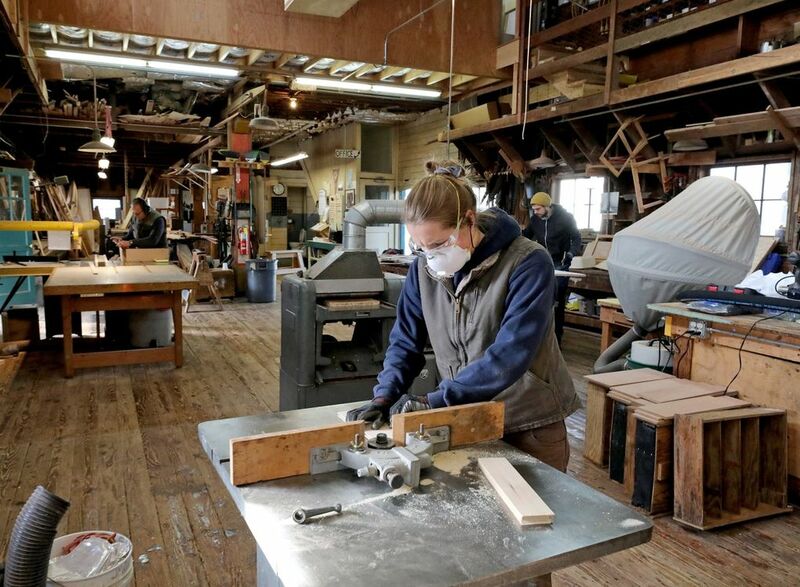 It will be the latest in a series of urban maritime businesses to disappear as an ever-larger, ever-younger Seattle slips further from an era of light industry and deeply skilled craftsmanship. Antonius Marinus George “Tony” Jensen founded the company in 1922, in shop space rented from an aircraft maker near Green Lake. 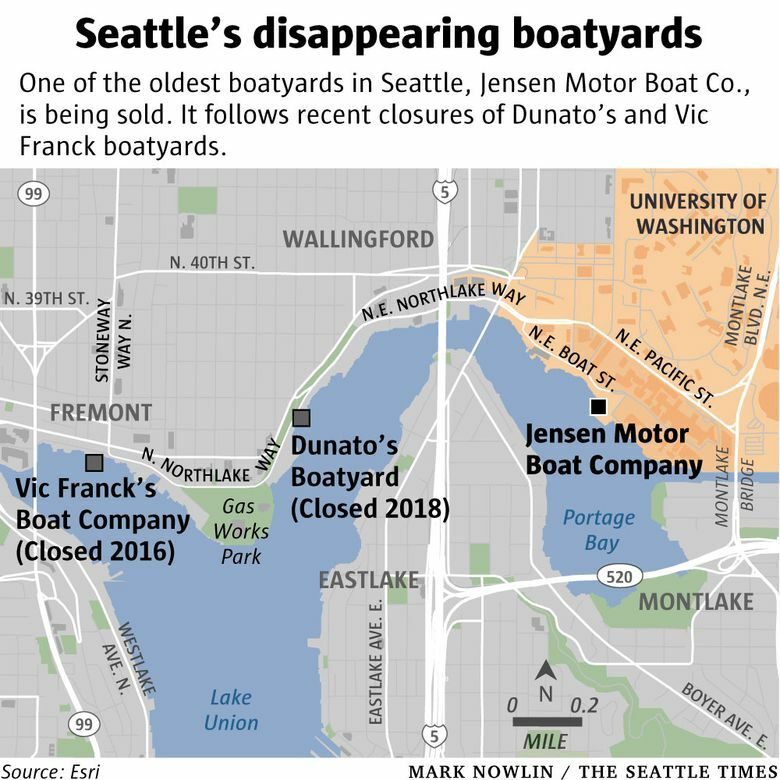 Soon after, Jensen, wife Bessie and two business partners moved operations to the current spot on Boat Street, arriving at a moment when Portage Bay and Lake Union were centers of the city’s thriving maritime and manufacturing worlds. There, surrounded by shake mills and tall-masted lumber ships, the Jensen Motor Boat Company quickly became sought-after for its workmanship and innovative designs. From the start, the company was driven by a blend of traditional craft (the Jensens have been shipwrights since the early 1800s in Denmark) and diverse, often idiosyncratic side interests. Tony Jensen, a Julliard-trained musician, divided his time between playing first-chair violin with the Seattle Symphony and building boats that pushed the limits of conventional design, according to Historylink.org. His two sons, Anchor and George, raised in the family’s apartment above the shop, absorbed and extended their father’s passion for experimentation. Interspersed among the yachts, seiners, tugs and other vessels that were the yard’s bread and butter, father and sons turned out a series of startlingly modern craft, among them, in the 1930s, the Meteor, a 32-foot cruiser with curvaceous, modernist lines and a maximum speed of a then-alarming 20 knots. Speed was a constant theme. The yard built runabouts for sportsmen and patrol boats for police and the military, and was the repair shop of choice for any mariner who put a premium on acceleration. During Prohibition, when booze smugglers raced up the Sound to Canada, “we built [police] speed boats to chase the rumrunners’ boats,” says DeWitt. “And we worked on the rumrunners’ boats, too,” he adds with a laugh. 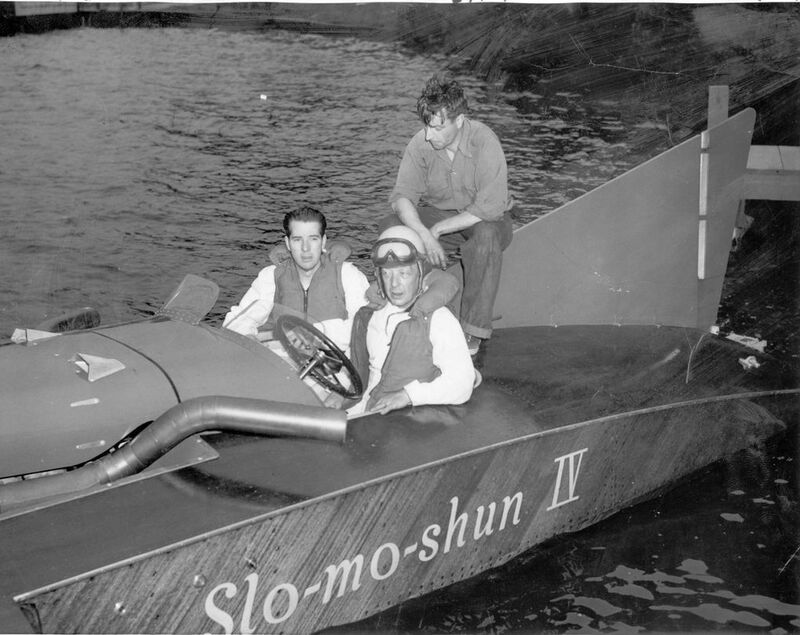 The obsession with speed reached its zenith in 1950, when Jensen launched the Slo-mo-shun IV, the first of a new generation of racing boats that looked, and moved, more like an aircraft than a boat, and almost single-handedly launched Seattle’s hydroplane mania. The Slo-mo saga is clouded by controversy about who, exactly, gets credit for inventing the fast boat — Anchor Jensen or a Boeing draftsman named Ted Jones. The disagreement between the two men turned bitter and was never settled. But few who knew or worked with Anchor doubt he contributed more than his share to the success of the boat, from the intuitive tweaks in the aerodynamics of the wooden hull to the development of an entirely new propeller blade that, according to DeWitt, added 20 knots to the boat’s speed. During the 1950s, the Slo-mo IV smashed the world speed record — 178.5 mph — and dominated the hydroplane racing world, starting with a 1950 Gold Cup win in Detroit, then the hydro capital. The boat not only thrust Seattle into national prominence but “turned half the population of the city into unlimited hydroplane enthusiasts and fanatics,” as one historian noted in 1959. By the end of the decade, half a million fans were regularly thronging the shores of Lake Washington for the annual races. Even in the offseason, “every kid in Seattle had a little plywood hydroplane they would drag behind their bikes,” recalls Seattle native Doug Adkins, who grew up to become an ardent Jensen customer. 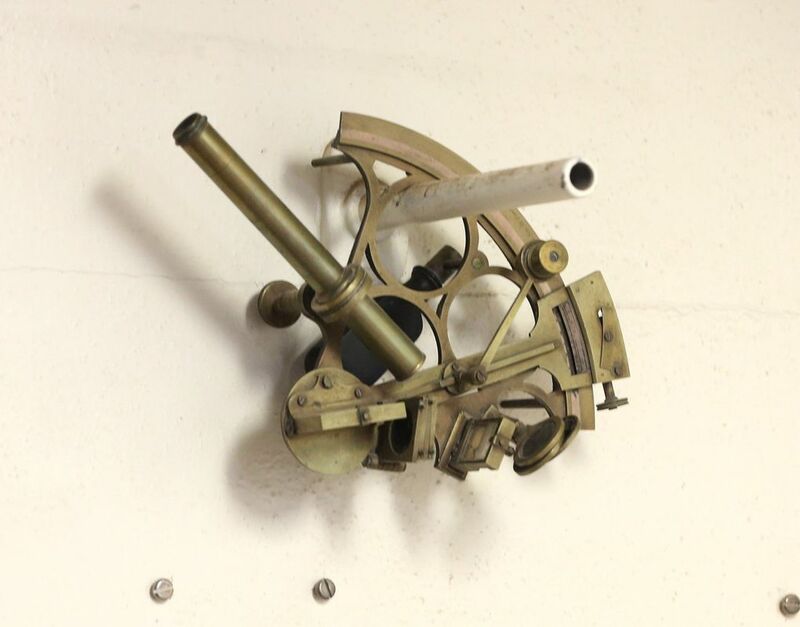 Today, the Slo-mo IV hangs in the Museum of History & Industry, where it remains one of the most popular attractions. For all the focus on machines and miles per hour, the Jensen Motor Boat Company was as obsessed with the human side of the boat building. Under the influence of Anchor’s wife, Ann Katheryn, or “AK”, as she was known around the lake, the company treated employees like extended family members — a practice that, current employees say, continues today. Workers are still encouraged to take time off for family events, says Mihovilich, the mechanic. The shop is progressive in other ways. In a trade that still heavily tilts male, Jensen regularly employs women — three currently — and maintains a woman-friendly environment. 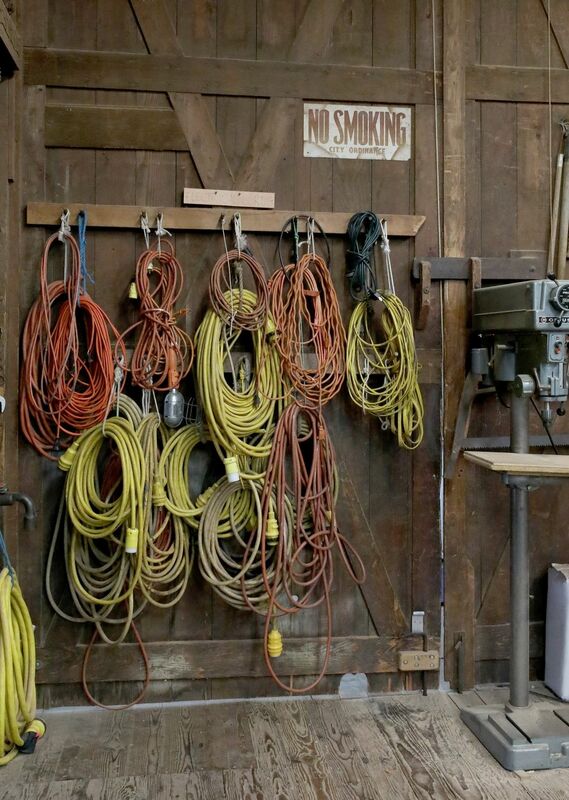 “There are still old-school [boat] shops in Seattle where you find pictures of half-naked women on the break-room walls, and that is just not Jensen,” says Henderson, the varnisher. Another legacy that survives is the company’s experimental, custom-built culture. 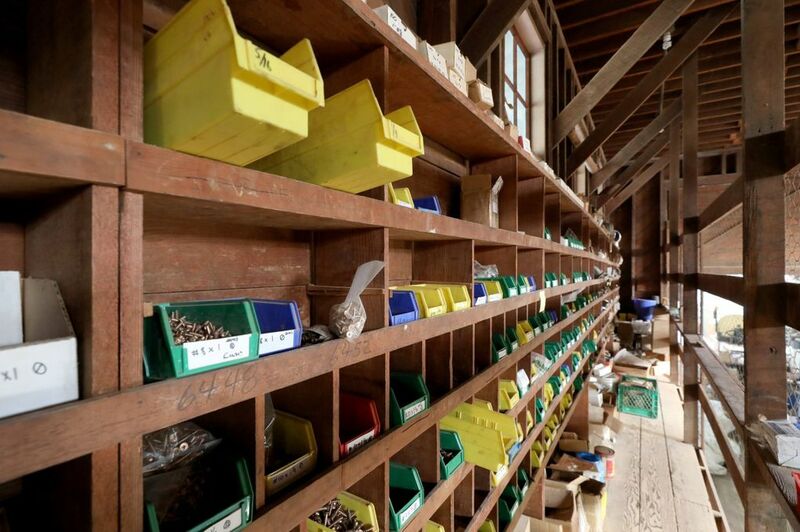 A visitor to the property finds a maze of added-on buildings and one-of-a-kind, MacGyvered equipment. The wood steamer, for bending planks, is fashioned out of a section of old wooden water main and a hydroplane fuel tank. The yard’s heavy winch, scavenged from a log yard and powered by a 1954 Chevy truck engine, can haul a 100-ton seiner from the water. Proctor, who no longer owns a boat himself, says he “spends a lot of time talking people out of” rebuilding old boats that aren’t worth saving. But often, “they can’t help themselves,” adds DeWitt, who recalls a yearslong rebuild project that cost upward of $1 million. 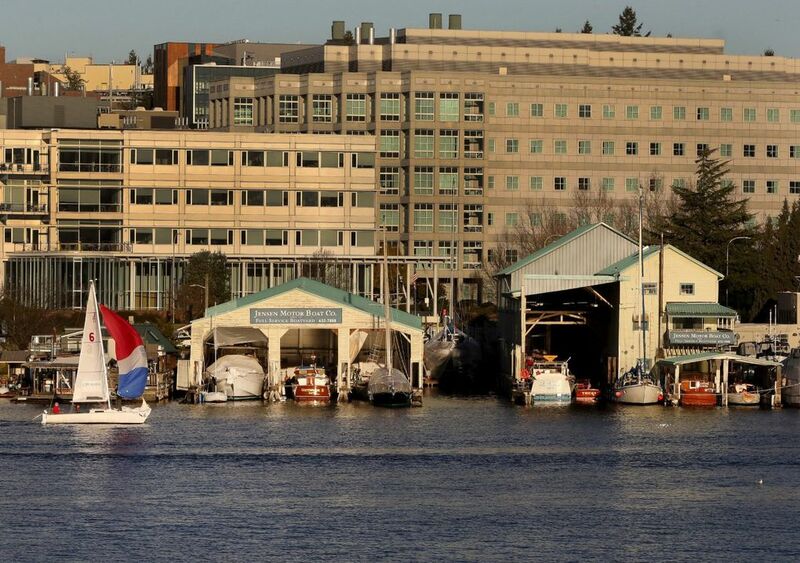 Such cases of irrational maritime exuberance are unlikely to evoke sympathy outside the boating world, especially in a city racked by anxieties over inequality and affordability. But they do help explain some of the hard times Jensen is going through. 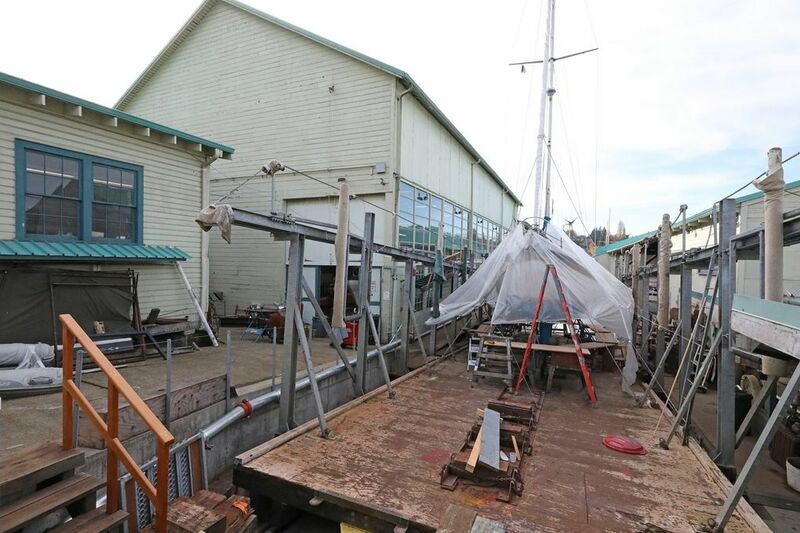 A new wooden boat is so expensive (fiberglass is much cheaper) that few are being built today. The last new boat built at Jensen, a 57-foot yacht, was finished in the mid-1970s, says DeWitt. Likewise, the rebuilding and maintenance work that makes up most of the company’s business today is rarely so urgent that boat-owners can’t put it off if, say, the economy slows. Eight years later, business has recovered. Jensen is back up to 20 employees. But the company remains vulnerable to the broader risks inherent in running what is essentially a 19th century business in a rapidly growing 21st century city. 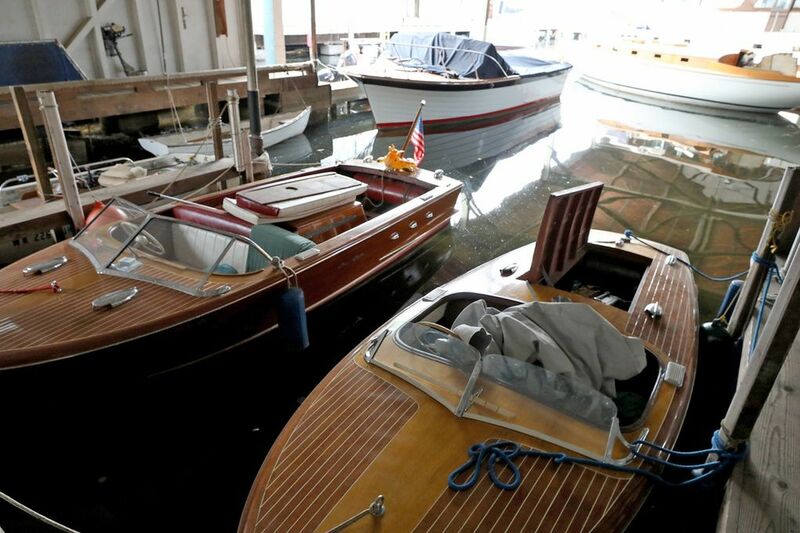 Since the 1980s especially, DeWitt says, environmental regulations intended to protect inland water quality have levied growing costs not only on marine businesses, but also on the large boats that might otherwise come in for service. Yet the pressure from the rising real-estate market continues to build. At Jensen, that pressure manifests in the form of property taxes — currently at $27,000 a year, and almost certain to keep rising, DeWitt says. Among Jensen’s current employees, reaction to the possible sale is mixed. “He’s just tired of it,” grouses one former employee, who complains that DeWitt never really shared his father’s passion for the business. And, in truth, the yard is a sideline for DeWitt, who works as corridor design manager for Sound Transit. Among Jensen customers, many of them old enough to remember the city when Jensen was its boating wunderkind, the reaction is similarly mixed. There is sympathy and understanding, but also a deepening, increasingly familiar sense of loss.